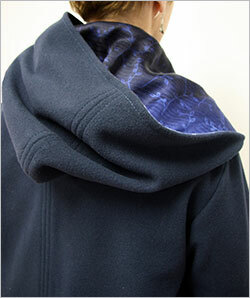 Lining: 100% silk jacquard print for the hood lining, cotton/lycra in a bright contrasting color for the coat. 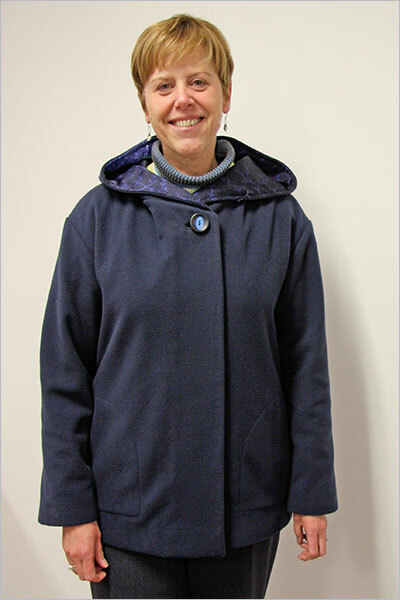 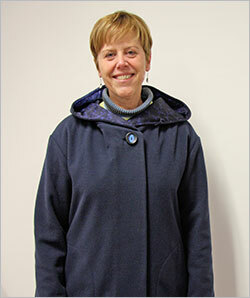 Notes: Chris took a simple jacket pattern, chose a beautiful piece of cashmere-like navy wool and added the extras that make her coat special . 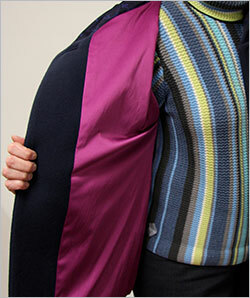 To her cashmere-like navy wool coating, she added an unexpected silk jacquard print panel for the hood lining, and a bright fushia cotton and lycra for the coat lining. 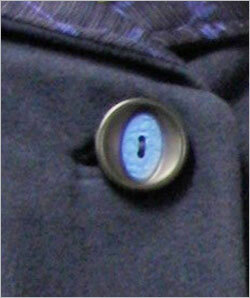 Her bound buttonhole and choice of button are typical of her detail-oriented and thoughtful approach to design.